Hmm... as you drive by.... Still that car centric thought. I would like to see something that more addresses the pedestrian grid. Actually, you are not going to see much as you drive by anyway. It fronts Magnolia, which essentially is going to become something of a line of traffic going to the theater. Kind of the drop off zone of the airport, so to speak. Move of the drive by traffic will coming down Orange or up Rosalind. SO they won't even see the entrance, save through the cut-away courtyard. Even if they angled the two front corners, and at least addressed the intersections of Magnolia and South and Anderson, you would at least be less closed off. I think the other thing is that there is NO sidewalk in front of it. It doesn't serve as a social space - you get out of your car and walk into the building, or walk out of the building and directly into the car. I am not a huge fan of the design itself, but I can live with that part. Of course just look at Boston's Convention Center, and it gives you an idea what it will be like. I am just far more critical of how it is placed, how it interacts in the urban context, and how little substance it brings to the location. I belive FUMCO's Aeolian Skinner is the largest Skinner in the state. Soon it will be even bigger. So Jaybee... where do you play if you don't mind my asking. Have you seen/played the rebuilt Aeolian Skinner at Rollins College? If so what do you think about it. you can private message me so we do no get off topic here. A performance space this large needs a drop off zone. I prefer they maintain the streetgrid instead of creating a drop off loop somewhere in the complex. 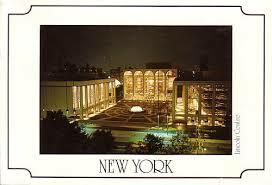 Again, the Lincoln Center reference is a good one. In terms of social space, it seems you are ignoring that the West lot is designed entirely as a social space. So sure you can walk out of the hall onto Magnolia and get in your car, or you can cross the street and head into the plaza. PACs do not typically generate a whole lot of vibrancy aside from showtimes; I like that they've recognized this by anchoring the complex with other businesses that will generate pedestrian traffic at different hours (hotel, retail, office, etc.). I am not a huge fan of the design, either, but I am impressed by elements of the site plan. How do things stand on the status of the dollar amount of donations at this point? It doesn't serve as a social space - you get out of your car and walk into the building, or walk out of the building and directly into the car. I think you're missing the whole block wide plaza in front of the place. Magnolia is a drop off but between there and City Hall is a plaza and there is an open stage to play outdoor concerts. I understand that you say it is auto-centric because Magnolia isn't being completely removed. 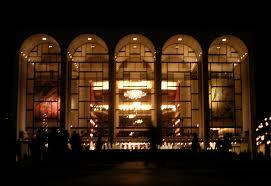 I disagree to an extent, because this is a ballet/symphony/opera house and large scale theater. People aren't going to be driving up that much unless there is an opening and people are being dropped off by limosine. It is possible that someone would get dropped off, but more than likely, people will drive to the parking garages and walk together as this is type of venue screams date night. Also, the Amway Arena has a street running directly in front of it and no cars are allowed on event nights. They may close the street down on event nights just like that and leave Magnolia open during the day when regular business traffic may need the street. The issue with the design as it stands is that to get to the plaza, you have to cross the street. Streets unfortunately do throw up a kind of wall - people have a tendency to walk along them than to cross them. Going with the brick paving could potentially mitigate this to a point, but it is still a street. THe other problem is that it is not a great plaza. It is long and narrow. The opening to the Theater is only one third of the length, if not smaller. The buildings on either side essentially put up a wall. The open space becomes more a long corridor. If this was all shops you might get some benefit out of it - a mall effect, but from th looks of it it is mostly residential and office space. As far as why I think it is car centric, it is because you have the cars coming right up to the entry way. Even more so, you have that type of effect where you drive into center - the entrance facade is essentially along an inside wall to the complex as a whole. And there is no sense of anticipation or arrival - you see a side profile from the highway, and blank walls from the streets. I think this could be fixed fairly easily - Instead of a lonf front facade, do angled corners. This brings the front onto the more public street. Create a larger setback, particularly on those corners. This would require offsetting Magnolia, but I can't imagine Magnolia being a major thoroughfare at this point anyway. 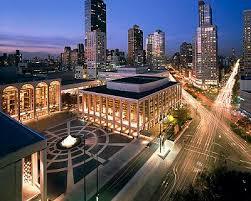 Then taper the buildings in the plaza, so that the plaza becomes more a space than a corridor. Put a feature in front to draw interest and create a focal point. these are all great ideas. and good points. Magnolia ends at Anderson, so it will never be that much of an automobile generator as Biscayne is in Miami, to draw a comparison. Bulldogger is right; I see them shutting it down at times during events and making people loop around Rosalind. But, being that Anderson is also an I-4 exit, it can become a huge automobile generator. But, as we know, Magnolia's perverbial (?) sack was snipped when the Lymmo route was placed there and it's the least traveled N/S road in DT based on what I've seen. I don't see the street as that much of a negative though. I agree with Cloudship in that you don't come towards it, rather, from the side. If the plaza was a street instead that ended in a traffic circle like most of the nice hotel resorts we have, then that would fix that element. But either way, you're bifurcating the public space but from another direction. I'm not sold, just yet. But I understand the utility in the design now. The beauty of having the entrance on magnolia, is that the Courthouse is at the north end of Magnolia. What if... they were to get rid of the hotel along South and leave that open as one large plaza? That would open up the PAC facade and create a focal point and anchor for Downtown. There is a video on Orlando sentinel that show more........ it kind of looks like the convention centre. It also sort of looks like the Lynx bus station. Lynx Central Station is edgier. More whimsical. "Oh come on", the OPAC does not look that bad. I beg to differ. We haven't seen all of the rendering from it.Later on when it get's built, you might change your opinion. Thank God we are getting a PAC, Event Center and Citrus Bowl. Some cities don't have the opportunity to have what we are getting. Yes and no tc. Camillo made a very astute observation a while back regarding public architecture in Orlando as a whole be overwhelmingly mediocre. This just further emphasizes the point. Orlando/Orange County should perhaps make these design competitions open to global compeition. Anyway, why only one design? Most design competitions I've ever seen for things of this nature have multiple forms and the public votes on which they prefer. At least that's how the WTC project was executed along with myriad others globally. I think people wanted organic rather than linear lines. As a creative center, Orlando lends itself more tocurvilinear design and the choice of color is overwhelmingly safe in a place where the sky can explode into brilliant purples, blues, reds, yellows, any night of the year. (Although, I would not lose a wink of sleep if the green was removed from the Orange County History Center). So, I think that's the overwhelming reason for the tepid reaction. 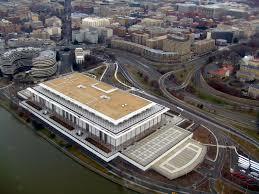 It's a boring, safe building that doesn't really challenge anything-the hallmark of conservative architecture. I will say this, though, The "Power Elite" of Orlando is in general more conservative than Miami and perhaps Atlanta. This building will ultimately be to satisfy their tastes and maybe Orlando should compare itself to a place like Tampa or Austin to get a better gauge of where its architectural revolution should lie. OIA's Terminal 2 (the newest one) has really nice architecture; OCCC N/S does too; OCCC West's West Entrance is real nice; Winnie Palmer, FH South, Dynetech, and Vue are anything but ordinary. There's more around town. I went to the display and spoke with a rep at length about the dpac. they are working on a lot of elements to this that hasn't been discussed yet; it really isn't an ordinary facility. materials, lighting, etc... all still in the works. As for Tampa, what exactly are they building over there that should be a barometer of where our arch. revolution should lie? Austin, I can't say b/c I haven't been paying attention, but tampa? My exactly. I was thinking about relative age of the cities and population. I am open to suggestions if you think I'm missing the mark. It doesn't even have to be organic. doesn't even have to be particularly contemporary for that matter. 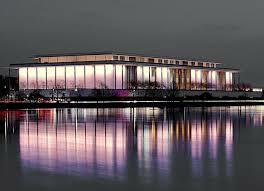 A really good art modern (streamlined) building would work. Of course even that would still be a bad design if it didn't address the placement issues. I am thinking it is less dull as opposed to more dated. That look is already getting old hat. I don't think it will age well at all. I would like to see something with more life, more charm. Something that 35 years down the road the city will look at and still cherish as a building and not just for what is done there. then I think you would need something along the lines of the Pelli center in Miami. it looks like an architectural icon from a distance. as for placement, I think that's arguable. the only other place I can think of DT would be the 400 N. block which would have more visibility, but when they build this thing, they said that they are going to time it's opening with the other projects going up on site so they all open at the same time. the place will be unrecognizeable. You all need to go see the model next time they offer a viewing. this thing will have architectural exterior as they say on the north and south sides. it is boxy, but other than emulating the Carnival or Disney centers, how else do you make it? At least this has an impressive front porch and lobby, mind you; the lobby will be stunning as depicted, b/c the walls of the concert halls will rise upward in the lobby at a curved angle outward, if you will, while you walk below. Glass will surround you otherwise. It will be nice. I am not talking about placement of the site, I am talking about placement of the buildings on the site. Yes the interior is dramatic - why doesn't that carry over to the exterior? Why not angle those outward? I think there are many, many different ways to take this. Yes this may be a bit beyond what Orlando can handle, but have you seen Calatrava's Milwaukee Art Museum? Or if you are really daring (which I don't think Orlando is ready for but would look nice on the other side of the highway) the Valencia Opera House. There's a life to those buildings, solidarity and motion. so,you are saying a mid-western city like Milwaukee is edgier than Orlando...that is sad if true. I never noticed the striking similarity between Atlanta's proposed symphony center and the Valencia Opera House before. It looks like the Valencia Opera House takes up the space of our entire 2 blocks in which we will try to put a hotel, office building, 3 auditoriums and other buildings. That doesn't even get close to the amount of space around that building that is just covered in concrete. Looking at those buildings, are they pedestrian friendly? It looks like a pedestrian journey to get to them. Much more walking involved than crossing the street. You seem to be saying how the design of our PAC doesn't do well at anything. How many public buildings fit the perfect mold of possibly lasting the test of time (which you don't know until possibly decades later), are pedestrian friendly, and put you at awe as you approach the building from all angles? That question goes out to everyone. The U.S. Capitol, Washington, DC. After doing some thinking last night, I came to the conclusion that the building does follow a great tradition of mid-20th century modern classicism. 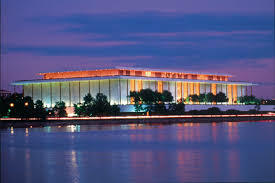 It really does take on the forms of Lincoln or Kennedy Center. it seems the only bldgs that last the test of time hail from the original architectural style set forth by my ancestors and the originators of the Olympic games.